The booking page is the page on your web site where customers can schedule appointments with your business. This page is powered by Microsoft Bookings. 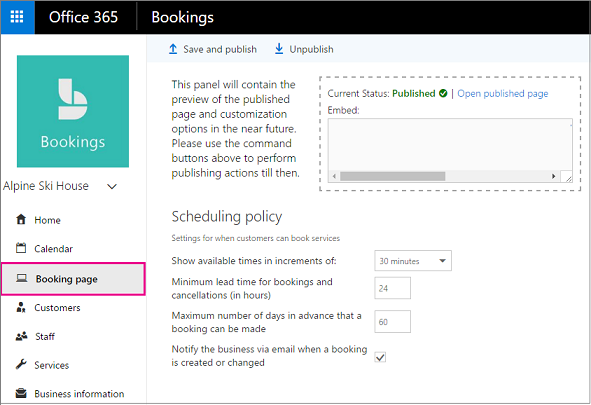 Use the Booking page tab in Microsoft Bookings app to publish and un-publish your page. Watch this video or follow the steps below to publish or unpublish your Booking page. 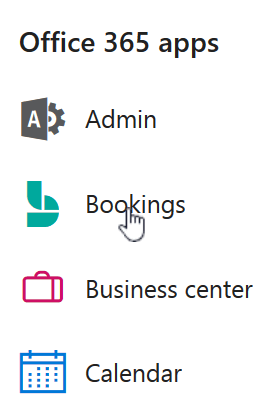 In the navigation pane, select Booking page. Verify your scheduling policies are correct. See Set your scheduling policies for more information. Select Save and publish. You'll see a confirmation message. Select Open published page to see your page in a web browser. To unpublish the booking page, browse to the Booking page and select Unpublish.